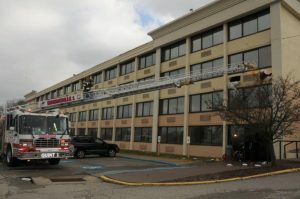 Friday Morning, Monroeville Fire Department units were alerted to the Holiday Inn on Mosside Boulevard for a structure fire. 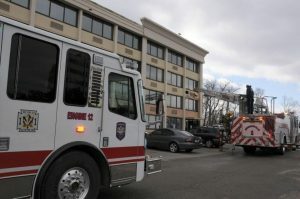 Quint 1 and Engine 12 responded from Station 1. 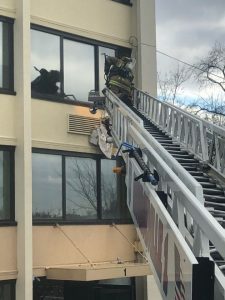 Units arrived to find a fire in one of the stairwells that had been extinguished by the sprinkler system. Quint 1 set up the aerial to assist with overhaul. 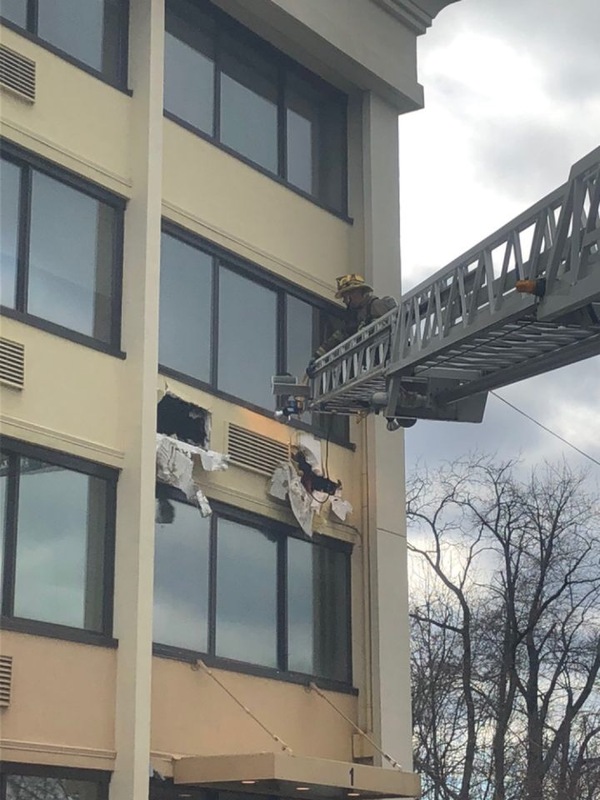 Units operated on the scene for about an hour, and then cleared to respond to a fire alarm activation at a local apartment complex.